For years as a pastor, one thing I have pushed for so much is that our church be really friendly. Without sounding arrogant or haughty, I believe we are an extremely friendly church. When you walk through the front door, you will be warmly greeted and then by many others. So, why would such a statement be made? I’ll answer it this way: We must do a better job of “Carterizing” others! Rod and Hope Carter have been married for 70 years and charter members of BCBC for 60 years. Their health has failed them greatly, so they are not able to do as they once did. For years, I have watched Rod “campout” in the church foyer just looking for visitors, especially young singles and/or young couples as well as others. As soon as they entered the building, he was getting acquainted with them. His greeting was only the beginning of what I am calling here, “Carterizing.” He would invite them to his house for dinner or out to a restaurant after the morning service and would do the same in the evening. He made sure some other BCBC folks were invited to join the group. He wanted folks to go to the next level of relationship and communication. 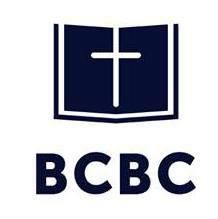 He wanted those guests to know he cared; that they needed to become a part of the BCBC family of believers. The bottom line is, he went beyond just a greeting. He was willing to get involved in their lives. I can call the roll of those who would testify right here! You come to church expecting to meet visitors, sit with them during the service, and have your meal planned and prepared so you can invite them to your home. If it is not a visitor, it is someone who has been attending for a period of time, yet you haven’t gotten to know them. When you plan your weekly calendar, you build in an evening to have guests in your home or meet them out for a meal or ice cream or time at the park. When you get together, you ask questions, you listen, and you share time in the Word and prayer. Be listening with all your heart as you look for ways to minister and really care. Invite visitors or repeat guests to your men or ladies’ ministries, small group Adult Bible Fellowship, camp retreats, etc. You have to be intentional. When at church, do not gravitate to the folks who make you comfortable. You reserve your personal conversations for a later time. You are there to minister to others like Jesus did. Make your guests believe they are the most important people on the planet.